You know this thing about Hank Zipzer games? We have a new category with new games for you named Hank Zipzer games where you will meet new and fun adventures and a lot of interesting characters from the series. The story is about Hank Zipzer a 12 year-old boy who suffers of dyslexia and his friends named Franky and Ashley and his enemy called Nick McKelty. In Hank Zipzer games you can find 5 games that we've published for these kids and childrens that are interested to play Hank Zipzer games, this game gategory have been created on 11.11.2015. These games with Hank Zipzer have been voted 1 times and the avarage of vote is 5.00 stars. We advice you to play the last flash game from Hank Zipzer games, Hank Zipzer Puzzle that have been published on 24.09.2016 09:08. Hank Zipzer Puzzle its a part of Hank Zipzer games category and until now its played 1529 times. Try it now on Cute-Games.com! If your like the Hank Zipzer Puzzle game you can write a comment in the game page. Recommend this game to your friends if you like it! Hank Zipzer Online Puzzle its a part of Hank Zipzer games category and until now its played 847 times. Try it now on Cute-Games.com! 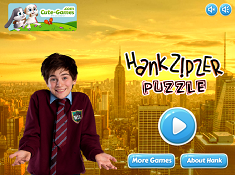 If your like the Hank Zipzer Online Puzzle game you can write a comment in the game page. Recommend this game to your friends if you like it! Hank Zipzer Puzzle 2 its a part of Hank Zipzer games category and until now its played 867 times. Try it now on Cute-Games.com! 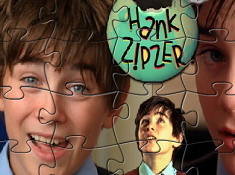 If your like the Hank Zipzer Puzzle 2 game you can write a comment in the game page. Recommend this game to your friends if you like it! Hank Zipzer Memory its a part of Hank Zipzer games category and until now its played 878 times. Try it now on Cute-Games.com! If your like the Hank Zipzer Memory game you can write a comment in the game page. Recommend this game to your friends if you like it! Puzzle With Hank Zipzer its a part of Hank Zipzer games category and until now its played 902 times. Try it now on Cute-Games.com! 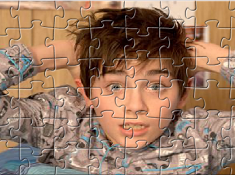 If your like the Puzzle With Hank Zipzer game you can write a comment in the game page. Recommend this game to your friends if you like it! Find More About Hank Zipzer games! Hank has also a girlfriend which is Nick`s cousin and the whole story is about they`re adventures and friendship that they have together. 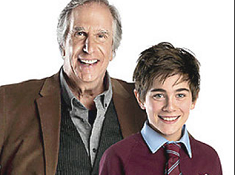 Hank Zipzer is the main character of the show and even if he suffers of dyslexia he is always happy and he don`t take that like a problem and also he love making bad jokes all the time, fact that describe him like an underachiever. Frankie Townsend is one of Hank`s best friend, he thinks that oxygen means power and he has a nickname for everybody, fact that makes him funny some time but in other cases people can be mad because of him. Ashley Wong is also best friend with Hank and she wants to be a doctor like her parents which are both doctors, and for that she is more serious then Hank and Frankie. Emily Grace Zipzer is Hank`s sister which is a little annoying and she is always fighting with Hank and she also likes to talk a lot about everything fact that Hank hates a lot, Emily also has an iguana named Katherine Zipzer and she is always steal the food from the table. Hank`s parents are Randi Zipzer, the mom which is always talking about healthy food and her friends and family called her Rosa and Stanley Zipzer, the dad which is obsessed about making puzzles and along with his family lives Cheerio Zipzer which is Hank`s dog. At the school Hank has a teacher named Ms. Adolf who hates fun and all the funny things, she is always nervous and also she is Hank`s nightmare but also he has a favorite teacher which is Mr. Rock, the music teacher which Hank loves a lot. 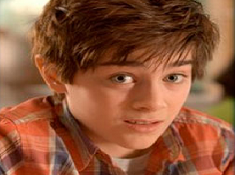 Nick McKelty is Hank`s enemy which is always trying to make him bad things and he also hates the fact the his cousin Zoe McKelty is Hank`s girlfriend and they are very happy together. In that story you will see a lot of teenagers which are matures together and also they are in love, happy, sad, friends, enemies, talented, smart or suffering of dyslexia like Hank. Because of his dyslexia Hank has to be tutored by teachers which have to be patients with him and help him to learn for being at the same level like his school colleagues. Also, Hank needs to be understand and he needs friends and people which love him because he can`t grow up in a healthy mode if everyone laugh of him because his problem and even if that`s happens as I say, Hank is no mad or upset. He is a normal boy, who loves his family, his friends and he is doing stupid things like all the teenagers and like fact that he is not frustrated he makes a girlfriend which is very cute. If you like Hank Zipzer series you will also like our Hank Zipzer games in which you will be close of your favorite characters from the series and you will have the chance to go through a lot of adventures and see how Hank`s life is. For that we have Hank Zipzer games for girls where you will have to dress up him or other characters, to make-up his girlfriend and other girls from the serial and a lot of girl activities which will gave to you a good time. We also have our Hank Zipzer games for boys where you will have to be like Hank and make a lot of funny things like boys do and you will see that you will enjoy a lot our challenges. Of course, we have Hank Zipzer games for kids where you will have cute and fun challenges and the games will be easier but with the same adrenaline. For more Hank Zipzer games stay with us and you will see how many surprises we prepared for you and also, if you want other Hank Zipzer games that we haven`t published you can tell us what game do you want and we will publish it.